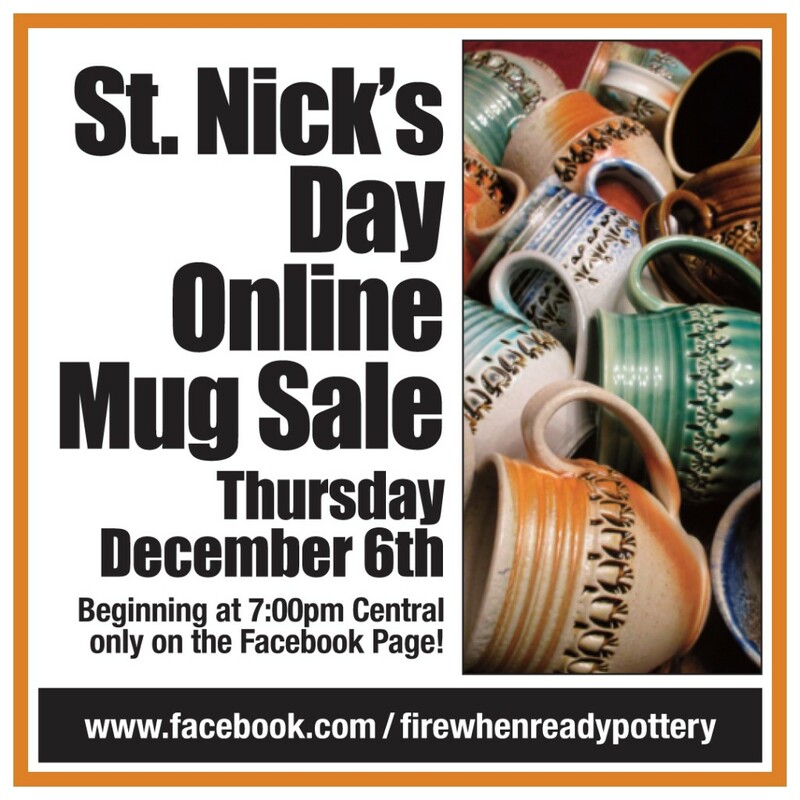 St. Nick’s Day Online Mug Sale : Starts Tomorrow!!! So who’s looking for a great holiday gift? even if YOU are that special someone!!! Well, in 24 hours we’re celebrating St. Nick’s Day with my ONLINE MUG SALE. I will post twenty mugs on my Fire When Ready Pottery Facebook page tomorrow at 7:00pm. The first one to claim a mug in the Comment section of each mug will get it. Pick quick, claim quicker… they’re gonna go fast! Watch here for more “teasers”… and then switch to Facebook for the real moment when the sale goes LIVE tomorrow evening at 7:00pm! Click here for my Facebook page… and then hit FOLLOW!